It`s been a wonderful 2011 for me when it comes to eating out , meeting people and generally having a good ole time. 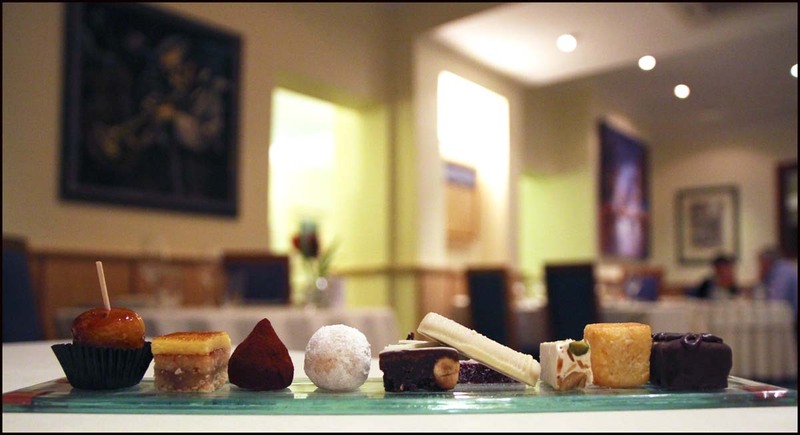 The London restaurant scene has played a big part in my year and i`ve thoroughly enjoyed travelling down to the capital to eat in some of the countries finest restaurants over the last 12 months. I have already started making plans for 2012 ( Ducasse , Waterside , Lenclume , Whatley manor ) and the first trip gets underway in January ( Ducasse , The Ritz , Gavroche ) followed shortly afterwards by Edinburgh in february ( Rhubarb room , Castle terrace )….and so on. Firm plans are also in place for me to lose 2 stone by june as well….erm…It will happen…..really.Thailand will see a slimline Mr Alan. 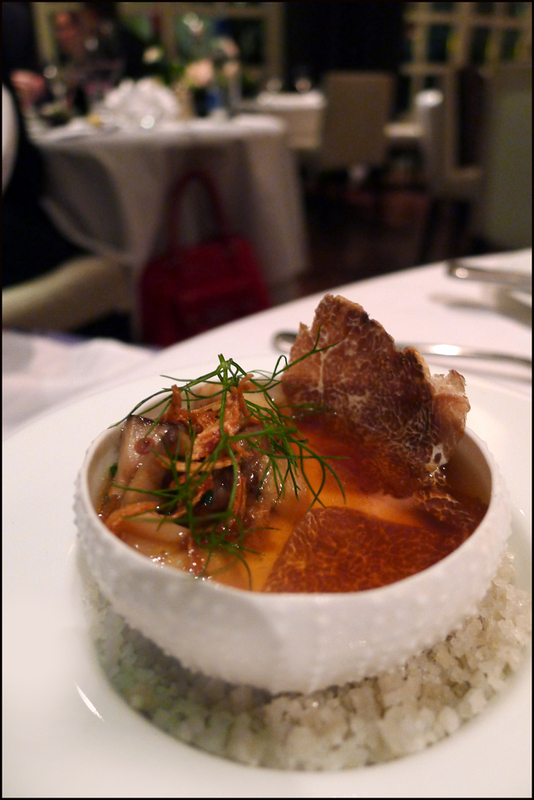 So a quick recap on what was best in 2011.Following on from my friends “The critical couple” and their Best of 2011 i decided to highlight my 2011 dream menu from the 30 or so Michelin restaurants i have visited during the year…Here goes. 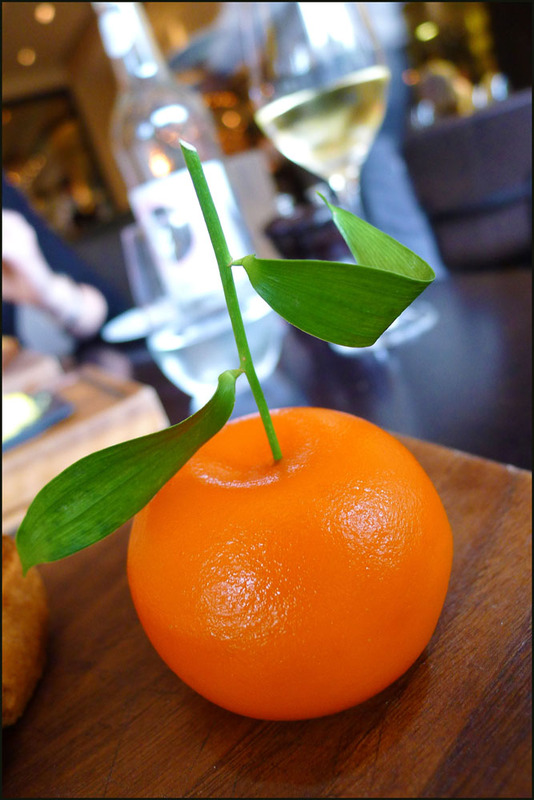 For Starters it had to be Hestons “Meat fruit” from his Knightsbridge restaurant`Dinner`. Making the meat fruit at home has been my most popular piece on my Cumbriafoodie blog from all over the world during 2011…and if anyone has 5/6 days to spare and the patience of a saint then here is exactly how to make this wee beauty. CLICK HERE. 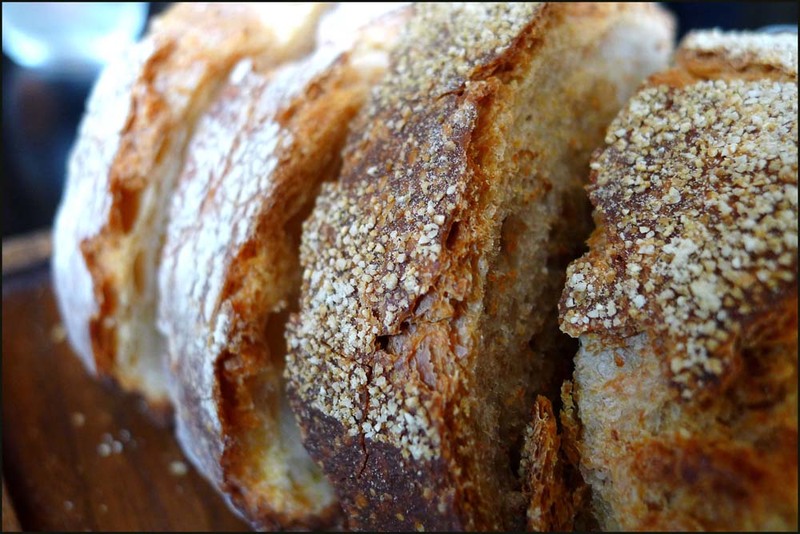 As for the best bread in 2011…and all of the restaurants i`ve `ever` eaten in ….Heston does it again by a long mile.I had his bread in the Fat Duck in 2010 and again at “Dinner” .I don`t know anything about the bread other than it is fabulous. On to my Veggie favourite and i really couldn`t separate these two starters.The first one was made by my friend Simon Rogan during a meal in his Cartmel restaurant `Lenclume`. 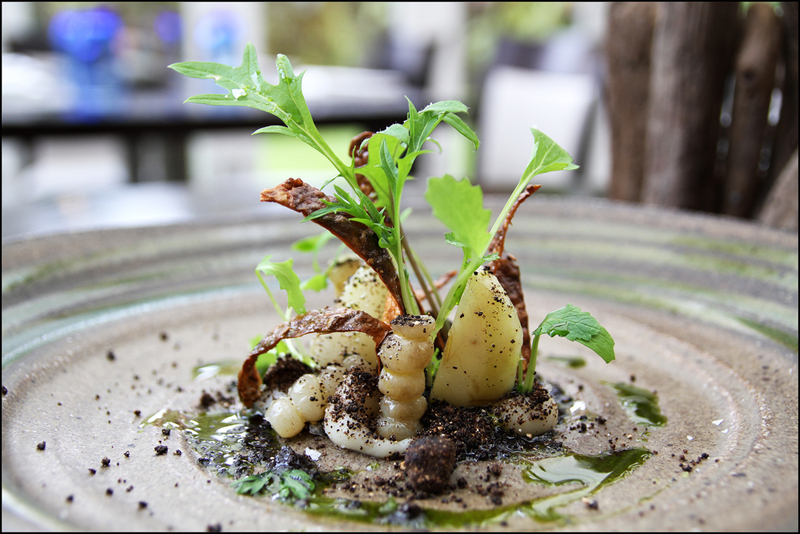 Vintage Potatoes in Onion ashes with Whey sauce and Sorrel. 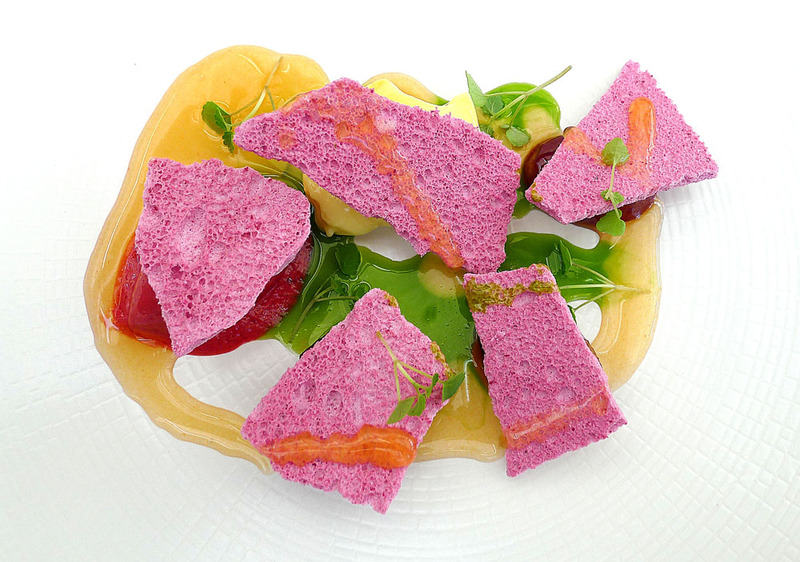 Another wonderful Veggie starter was made by Brett Graham during an August meal at the Ledbury in Notting hill , London. Hampshire Buffalo milk curd with Saint Nectaire truffle toasts and a broth of grilled Onions. 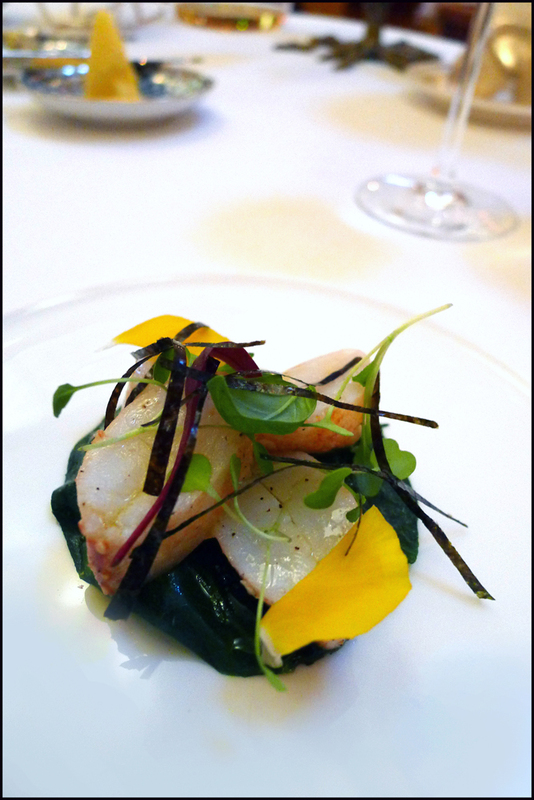 Pierre Gagnaires “Sketch” restaurant in London provided the years best Shellfish dish. 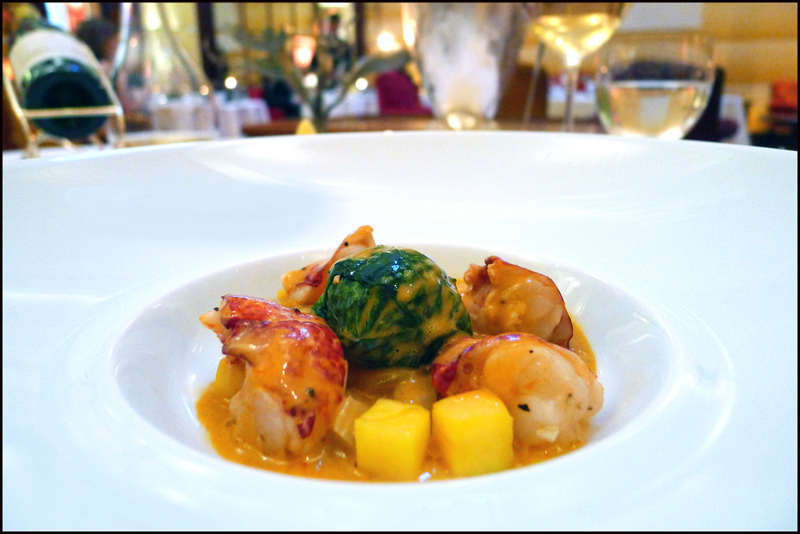 Scottish Lobster , lightly cooked with ginger butter , swiss chard , banana , mango and bisque sauce Paired up with a wonderful little salad of Lobster claw meat. 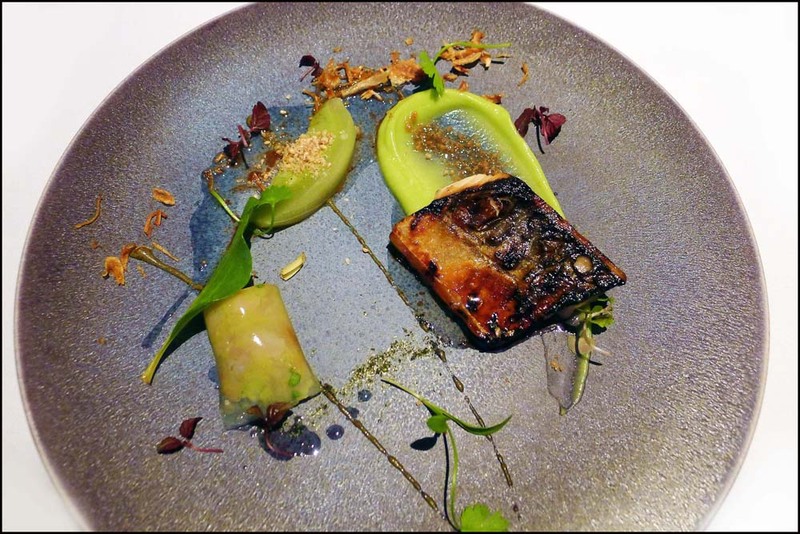 The Ledbury once again shone through with this amazing fish course of Flame grilled Mackerel , Smoked Eel , Celtic Mustard, Avocado and Shiso.The smokiness of the Mackerel skin brought back childhood memories of cooking over home made fires…I couldn`t re-create the same Ledbury flavour when i tried it at home. My Game dish of the year was the August Grouse at The Ledbury. 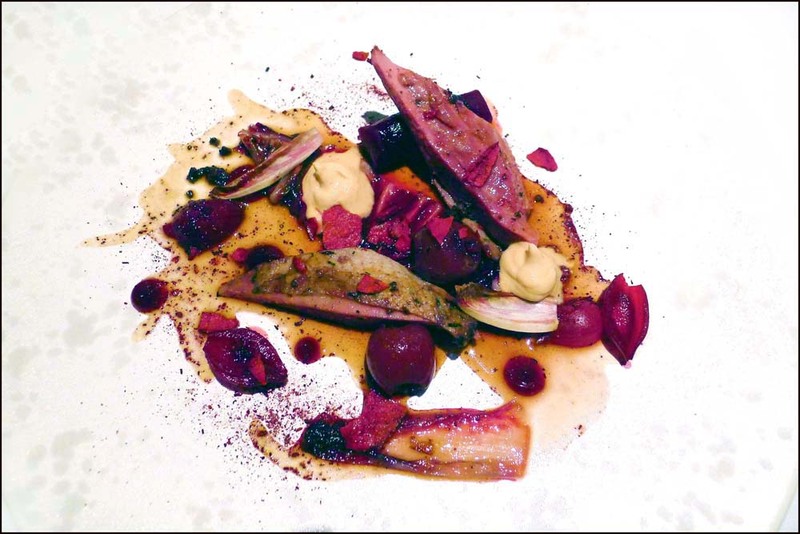 Roasted Breast and Confit legs of Grouse , with Red leaves and vegetables , Foie gras and Cherries. 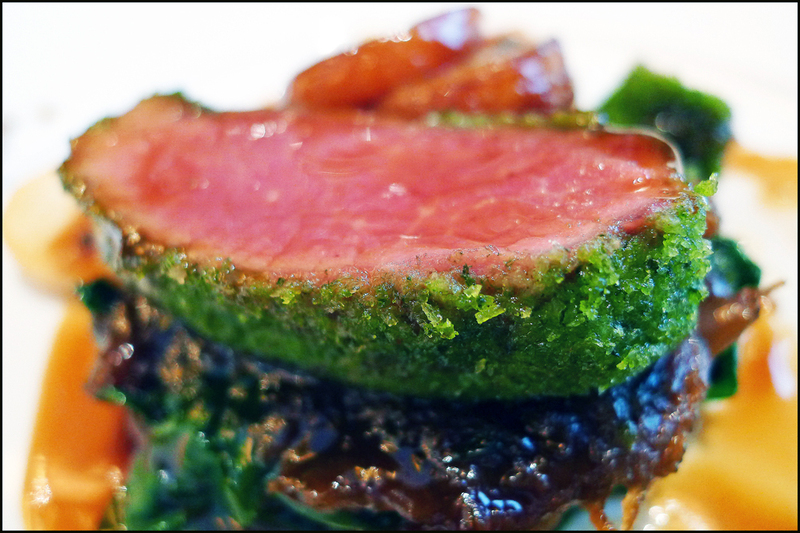 Best Lamb course of the year was served to us at St James , London – “7 Park Place” by William`Billy` Drabble. 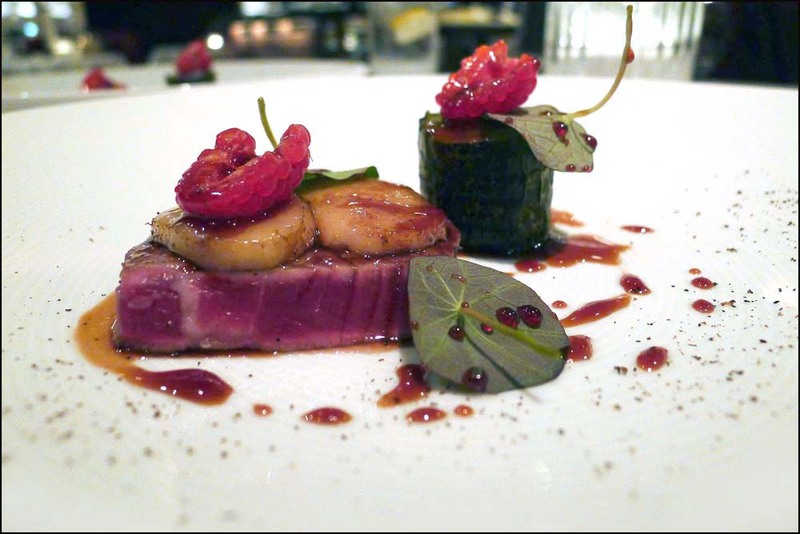 An absolute classic cooking method taught to Chef by the legendary Nico Ladenis at Ninety park lane…. it`s totally `old school` at its best, amazing. Main course Beef dish that stood out from the rest was made by James Knappett ( now cooking at The Ledbury ) at Marcus Wareing in the Berkeley , London. A fairly straight forward and simple dish but cooked to perfection and the combination of the melting beef fillet , Smoked bone marrow and tartness of the berries had me sat in my chair , eyes closed and totally drifting away on a cloud….Still my best main of a lifetime. 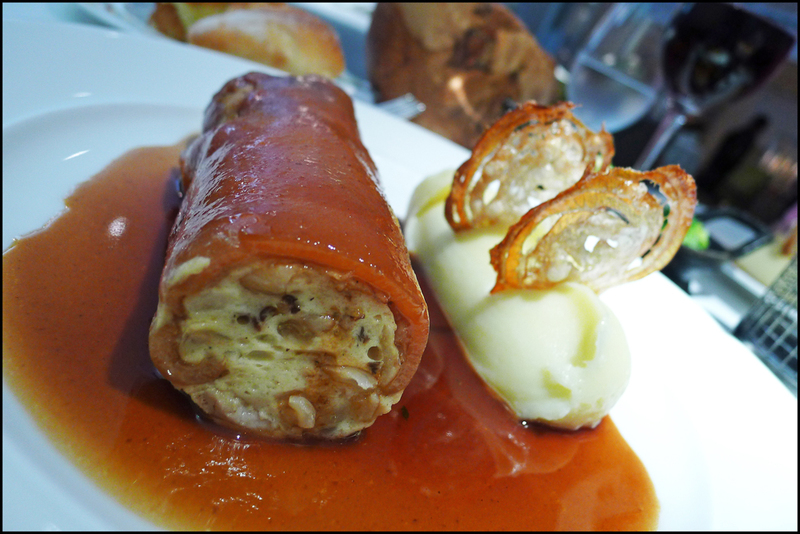 A very close second place to the beef but i`ve included it here as ” Best classic” dish of the year and one that only took me 30 odd years to get around to tasting… Pigs Trotters “Pierre Koffmann” at Londons `Koffmanns` in the Berkeley hotel … I must return for more. 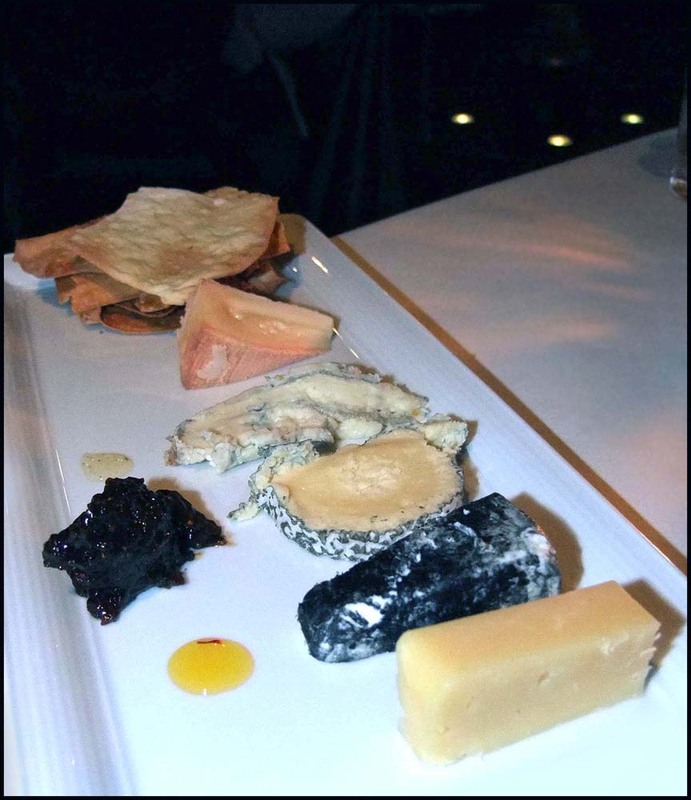 Kenny Atkinson at the Orangery in Rockliffe Hall and his award winning Northumbrian cheeseboard.I`ve had a lot of nice cheese over the year but this one “took the biscuit”….a truly fabulous tasting of Northern cheeses and their accompaniments. “Stop press”…Get the brakes on…. December 29th and It`s definitely a close shave for the pud of the year.I ate a 2011 last minute “light” 16 course lunch today at Lenclume and experienced some amazing food.The pudding below definitely hits the mark to rival the one above so i`m firing it in at the last minute.These guys are going to be knocking some pretty good stuff out in 2012…cant wait.So the one below is “Sea Buckthorn ice cream ( Liquid Nitro ) Anise , Hyssop , Liquorice and Butternut”. 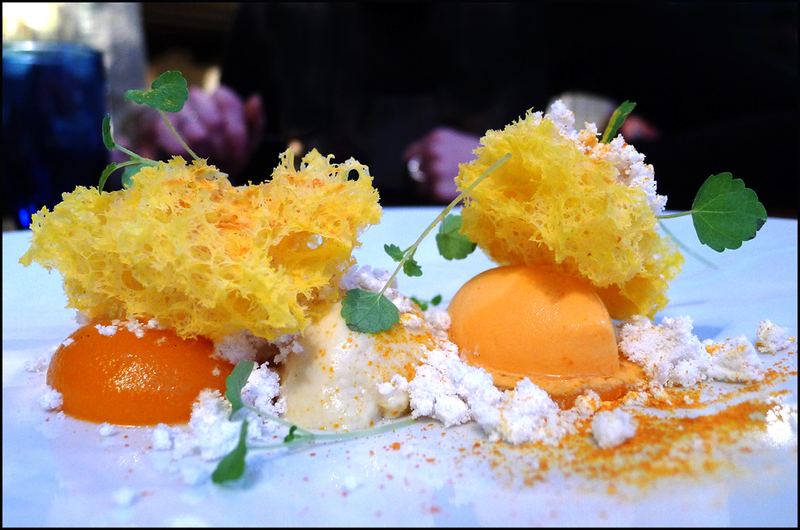 The sponge like item that sits on top of the dish i `think` is the light El Bulli type of sponge cooked inside a cup…but it was crispy so im guessing that it was then put in a dehydrator….it was good.The sea buckthorn is such a unique flavour , there`s really nothing quite like it.It`s a love it or hate it experience and definitely my flavour of the year ,it really is amazing. Petits fours and sweet treats with coffee don`t come much better than this.By the time these ones landed on our table we had competely overstuffed ourselves to bursting point.They were beautifully packaged up in a little box and were swiftly devoured the following morning in bed.Thanks to Le Champignon Sauvage in Cheltenham. And finally…. 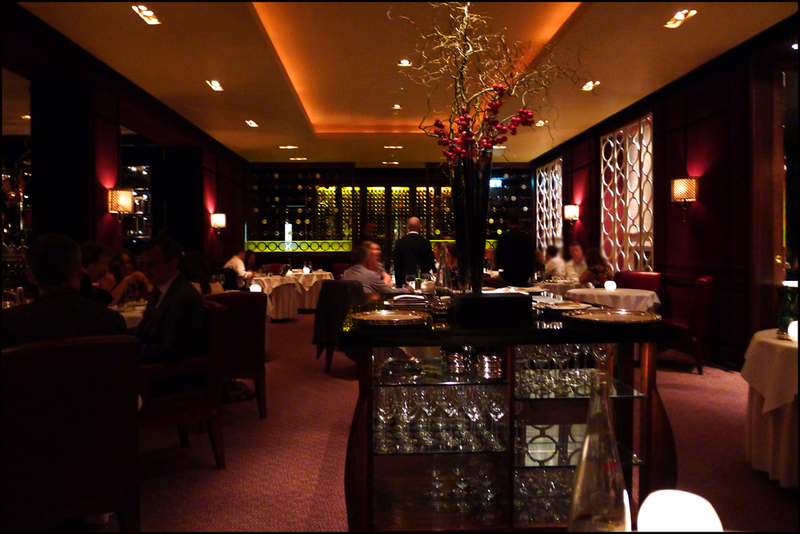 I can`t end my 2011 dining without mentioning my “Best Service” experience…and that simply has to go to the staff at Marcus Wareing in the Berkeley hotel , London. As i said in my blog post ( click here ) This is hospitality at the highest level…I simply cannot fault it. Thanks to Dimitri Bellos and all of the team. And that`s my final post of the year folks .I wish you all a very happy new year and hope you can consume as many calories as i`m going to during 2012. Happy eating , Cheers Alan. Previous Post The Ritz , London – An amazing Sunday lunch. 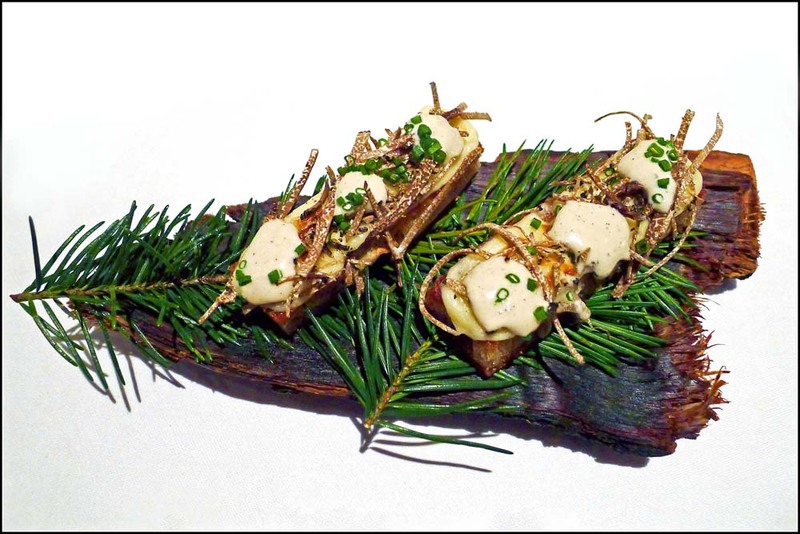 Next Post LENCLUME – The 2012 Winter menu.